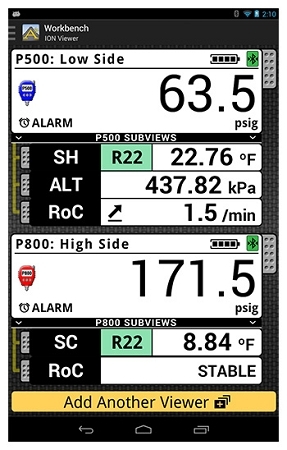 The ION App enables remote, real-time viewing for appIONWireless Digital Gauges. 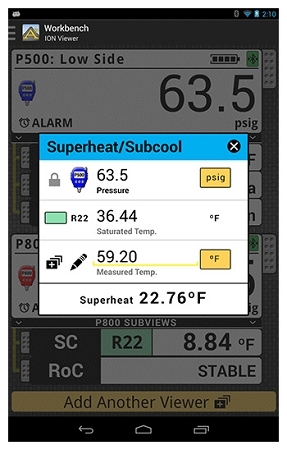 Access and extensive refrigerant P/T lookup and receive remote notifications from custom alarms when readings move beyond predetermined thresholds. 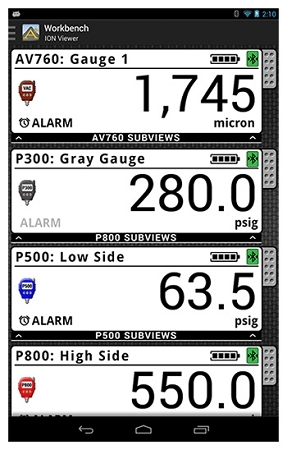 Active gauge readings enables superheat/subcool, real-time systems analysis, custom layout configuration, multiple alarms, and more. 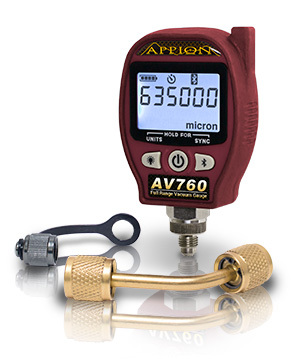 More functionality, reduced bulk. Get the app from Google Play and on the iOS App Store! 400 TruReward$ points will be placed in your account when you buy this item.